Suitable for general assembly handling and engineering applications. 100% Nylon seamless shell fabric, coated with nitrile. 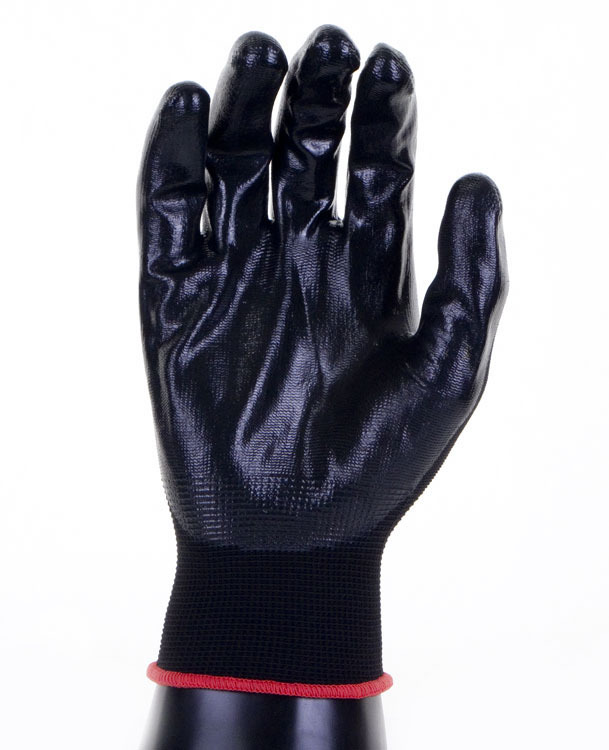 Breathable, ventilated back of hand. Ideal for general assembly tasks. 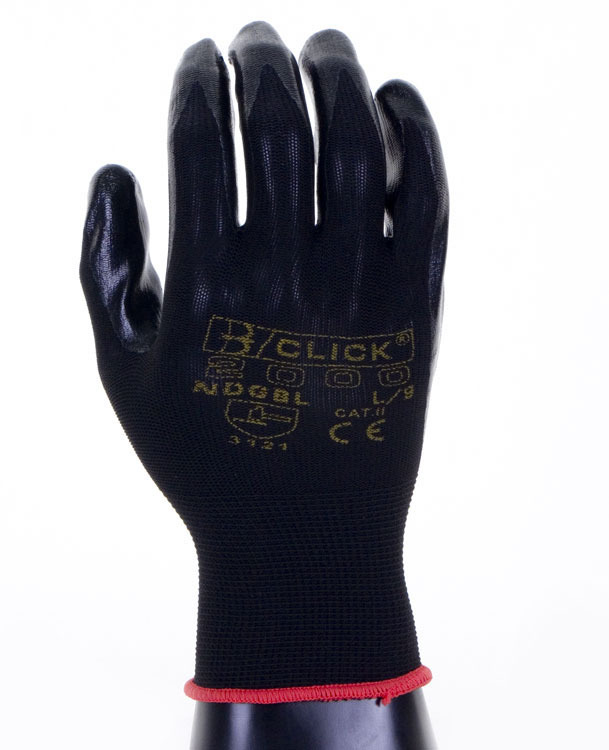 Click 2000 Ndgbl Nite Star Black Nitrile Coated Glove conforms to: EN420 Cat.2 EN388 3.1.2.1. standards. Resistance Grades( Abrasion : 3, Cut : 1, Tear : 2, Puncture : 1). 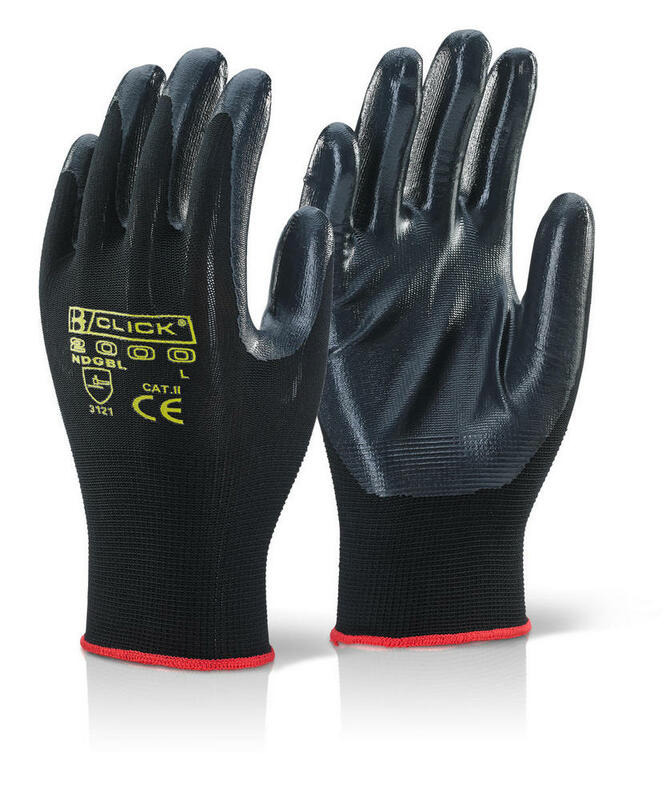 If you cannot find your product from Click 2000 gloves. 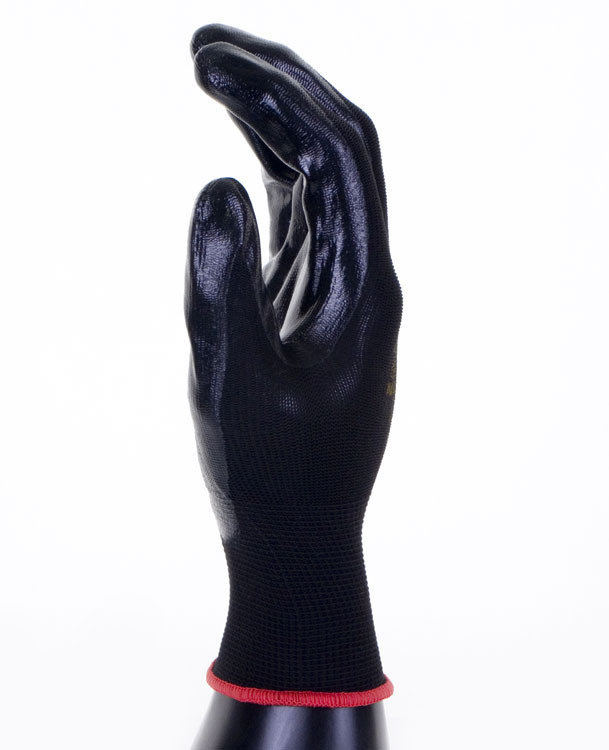 Also you can check for more Gloves here - Ansell Protective Gloves. More safety products - you can check out our Soft Shell Jackets | Fleeces Category.